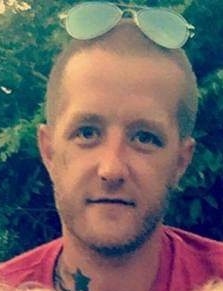 Brandon Michael Ritchey, 36, of Figard Street, Saxton, PA; passed away on Saturday, October 20, 2018. On March 24, 1982 in Roaring Spring, PA; a son of Tina M. (Figard) Oberman married to Gary, Saxton, PA; and the late Michael Lee Ritchey. Along with his mother he is survived by two daughters Adalynn Ritchey and Taylor Ritchey; two brothers Adam Ritchey and companion Sueleda Aurant and Jedidiah Ritchey; niece Emilee Skvarka; grandmother Alverta “Birdie” Figard; aunts and uncles Rodney Figard married to Janet; Randy Figard married to Cindy; Stacey Figard married to Jennifer; and Jeff Ritchey. He was preceded in death by his companion Heather Heaton, his father Michael Lee Ritchey, grandfather George Figard and grandparents Sam and Cleo Ritchey. Mr. Ritchey attended Beavertown Bible Church. Brandon was a graduate of Tussey Mountain High School Class of 2000. He was an avid Pittsburgh Steelers Fan and enjoyed spending time with his daughters, taking them fishing and to the movies. Brandon was employed at Pomps Tires, Bedford, PA.
Friends and Family may call at the Saxton First Church of God, Saxton on Wednesday, October 24, 2018 from 4 P.M. until the hour of service. A Memorial Service will be held on Wednesday, October 24, 2018 at the Saxton First Church of God at 6:00 P.M. with Pastor Jeffrey Knepper officiating. If friends so desire memorial contributions may be made in memory of Mr. Ritchey to the Akers Funeral Chapel, 715 Church Street, Saxton, PA 16678.